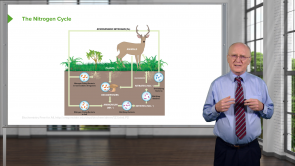 Learn with high-yield lectures with some of the best lecturers in the field. We also provide compact and focused lecture reviews and quizzes to customize your learning environment. Study from your computer, tablet or even your cell phone. The biochemical processes that form part of the amino acid metabolism all support the synthesis and breakdown of amino acids. In the following article, the three most important reactions of the metabolism, i.e. transamination, deamination and decarboxylation, are explained in a compact overview, providing you with the perfect preparation for your upcoming exams. Amino acids are the simplest unit of a protein. It has distinct structural characteristics that are responsible for the different types of interaction it can make inside the body. It is important to study the structure of amino acids as the functioning of proteins is highly affected by the type of comprised amino acids. In this article, the structural features and properties of an amino acid will be discussed. Also included in this article are the classification of the amino acids based on the side chain it has. 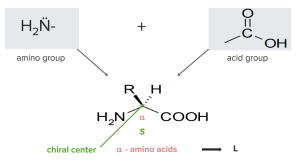 Focus is also given to the ionization of amino acids. The daily protein turnover of a human being is approximately 300 g. Amino acids contain nitrogen atoms, which need to be eliminated by the body without developing too much toxic ammonia. Here, urea comes into play as an appropriate end product of protein degradation. The steps of synthesis in the urea cycle (also: ornithine cycle), which occurs in the liver, should be well understood. 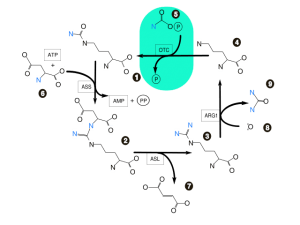 By the way, the urea cycle was first described in 1932 and is therefore the first described cyclic metabolic pathway. 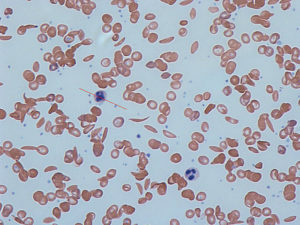 Sickle cell anemia leads to sickling of red cells during hypoxia. This can cause blockage in blood vessels with a range of clinical problems. 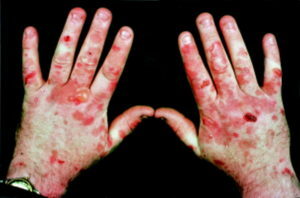 Treatment is with red cell transfusions and hydroxycarbamide. 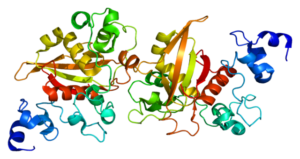 Hemoglobin is the iron-containing metalloprotein that is responsible for oxygen transport in vertebrates. 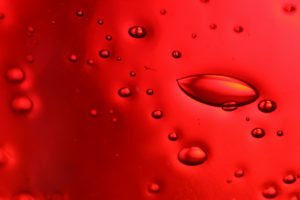 It is present in the blood and functions mainly to carry oxygen from the lungs to the other parts of the body, and carbon dioxide from the body to the lungs for eventual elimination. This article will focus on the basic structure and function of hemoglobin. Tyrosine is one of the amino acids that play a big role in a number of physiological processes. They are precursors for some hormones and neurotransmitters needed by the body for metabolic functions. 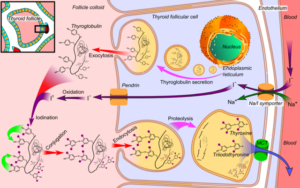 In this article, the chemistry of tyrosine will be discussed. The article will answer how it is metabolized to produce the different hormones and neurotransmitters. 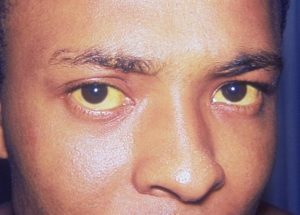 Porphyrias are a group of metabolic disorders, at the bottom of which lies a disturbance in the synthesis of the heme; thereby, in most cases, it is about a hereditary enzyme defect. The disease patterns differ depending on the affected enzyme; one clinically differentiates between acute and non-acute forms. In particular, a physician should also be aware of the two most common forms of overall rare diseases as an important differential diagnosis. 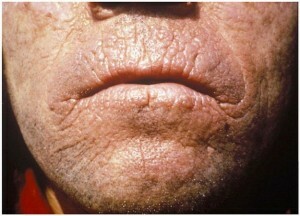 Below is thus an overview of the clinical manifestations, diagnosis and treatment options of the porphyria. Clear and Comprehensive explanation. Not too detailed but enough to understand. I love the way he explains! For the first time ever, I got AA right. Thank you! Thank you very much! Those extraordinarily awesome questions help me better understand the whole thing with details! Wow, these two amines are very tricky, thank you very much, Prof. Ahern! I cannot believe I am just now finding this resource during my dedicated Step 1 period. However, I am so glad that I found it now, right at the beginning of Step prep, rather than later. I plan to use this as one of my main resources for the remainder of time up until my exam. I realized while reading First Aid that, although I had known the subjects very well at one point, that my foundation was not as solid as it once was. This is perfect for reviewing and providing the big picture for everything. It's also an amazing resource for providing the "why" and "how" behind all the small factoids written in First Aid which is just what I need. It's so much easier to retain the information when you actually understand what is going on rather than memorizing a 650+ page book of bullet point lists/facts. This is great. I was a huge fan of Boards and Beyond, but I have since ditched that resource and am fully focusing on this one since this seems a lot more comprehensive and better taught (though Dr. Ryan has also done an amazing job too). Thank you guys so much for coming out with such a well thought out and developed and thorough resource. This is going to make board prep so much smoother. If I end up scoring highly on Step 1, I will make sure to write a review on Reddit, SDN, etc raving about Lecturio. Its really interesting subject made easy by an interesting professor. I'm not sure if that level of details are needed for the USMLE exam as I'm using the USMLE curriculum, if its not needed thats fine it will be for my future knowledge hopefully if i get to keep in my head. Dr. Ahern was very clear and concise. Great lecture. Thank you! Amazing lecture and slides explained very well and it was useful to have the slides downloaded. Explains everything extremely clearly and made all of the processes easy to understand. This was a great lecture series! he is so good ... I am very thankful to you sir !! Great Instructor. Clear, concise, very easy to comprehend. Dr. Ahern gives the "meat" of the concept. Not long winded. I was impressed by the knowledge of the professor. However, the very short length of each lecture was disturbing and distracting.